C.A.T.S. supports the desex-and-return policy for management of free-roaming cats. This involves humanely trapping the animals, who are then examined by a vet and desexed, before being returned to their original territory once they have recovered. Volunteers regularly feed the cats, monitor them for illness, and trap any undesexed immigrants that join the group. It is important to realise that these are managedcolonies. 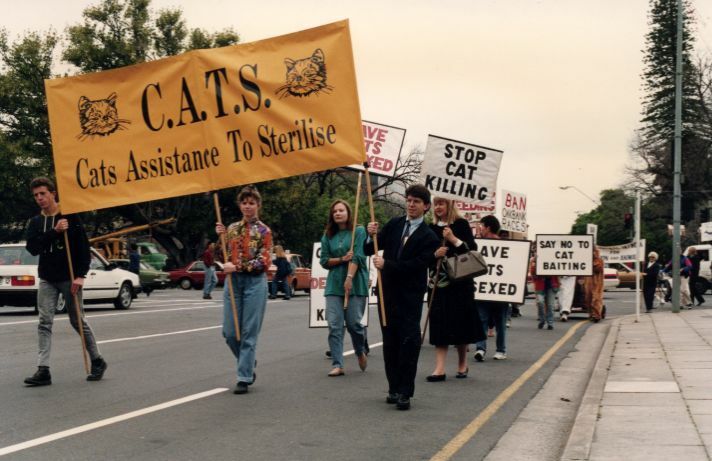 The Universities Federation for Animal Welfare (UFAW) in the U.K. has also adopted desex-and-return as its policy on feral cat control (1): "UFAW considers that population control by neutering is a humane method of dealing with groups of feral cats. It has been shown that schemes based on trapping, neutering, marking by ear-tipping and returning to managed sites can be effective in the long run."